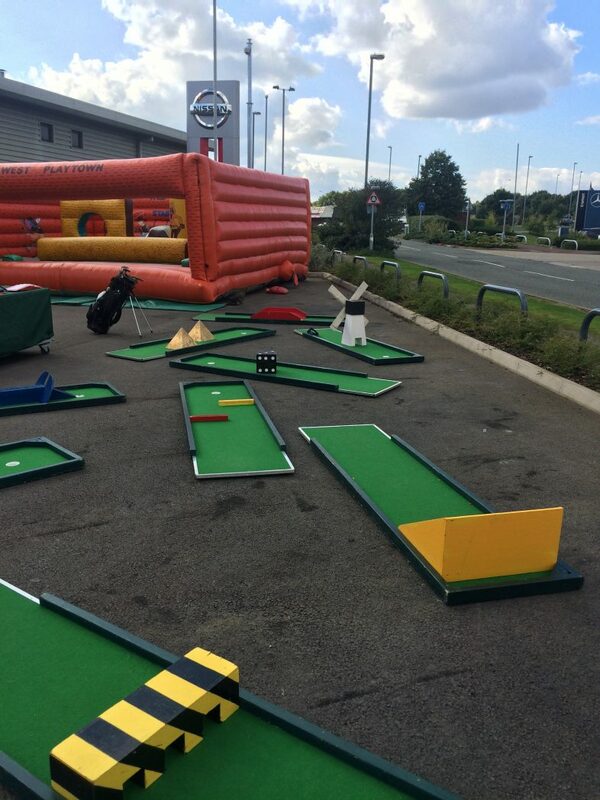 Crazy golf hire is a must for your next fun day, party or promotion. The crazy golf is just a pure fun game that can be enjoyed by all ages, whatever their ability – it doesn’t matter if you have the next Rory McIlroy at your party, he will still be as stumped by some of the holes as the next player. With the crazy golf hire the great thing is the amount of players who can use it at any one time. You will have nine holes and over twenty clubs, so players can go round individually, with scorecards or in groups just for a bit of fun. The obstacles on the crazy golf course are great also, some demanding some far easier, so it doesn’t matter about your ability you can still have great fun. 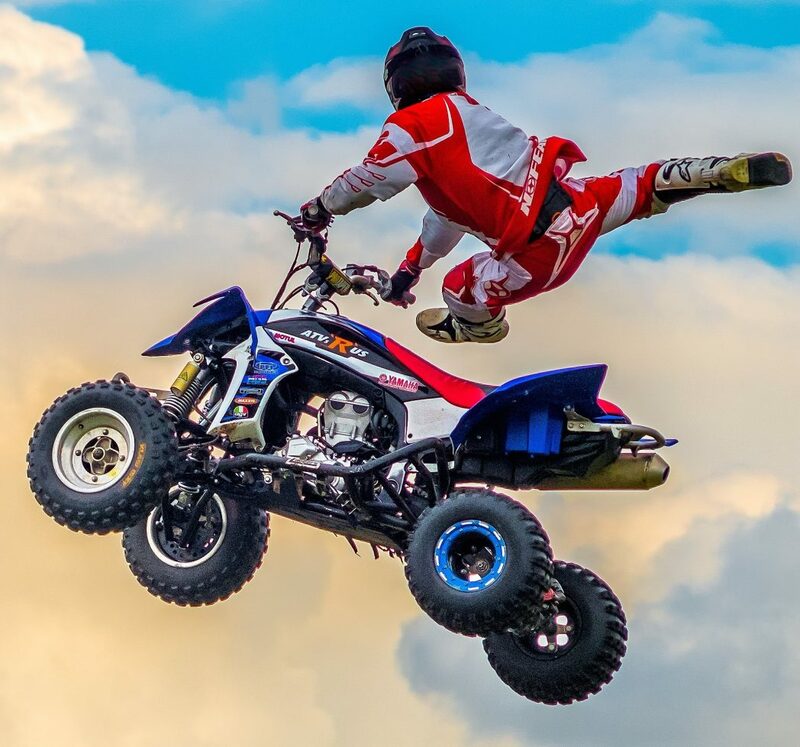 Our ”crazy golf hire” in London has been at the British Open promotions and many of Londons most prestigious venues. The crazy golf is great on exhibition stands also encouraging guests to your stand. Our portable mini golf, or mini golf hire is a great fun game for all ages. 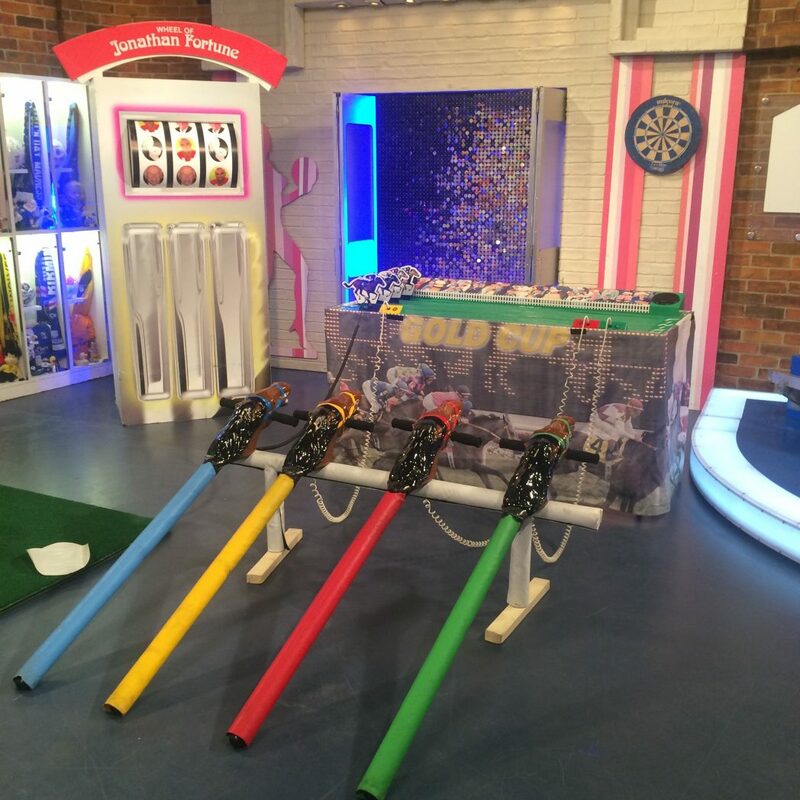 With the portable crazy golf or portable miniature golf you can play for fun or score your round? The portable mini golf hire is great at fun days. We have a few golf games, and the Crazy Golf game is one of the best, as it is a nine hole crazy golf course, suitable for many players. The portable Crazy Golf course is suitable for indoor use as well. 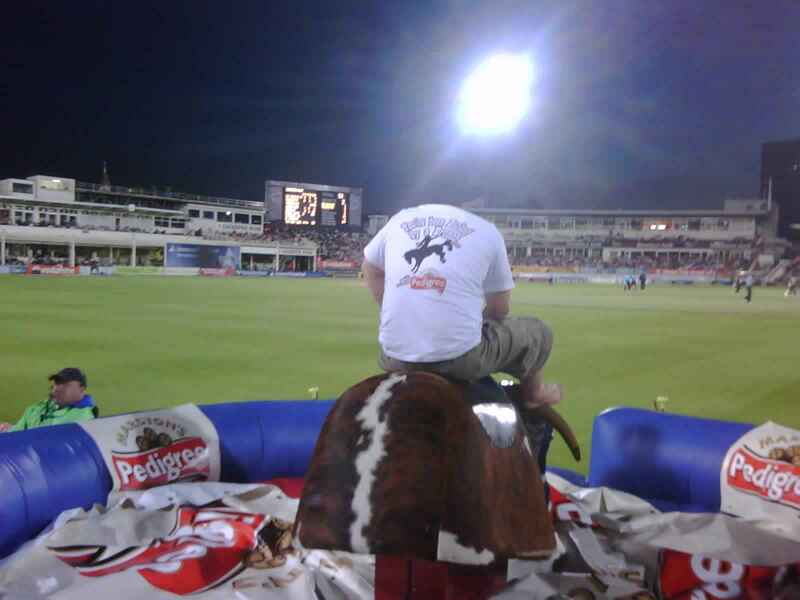 Hire crazy golf, and you will have a great attraction. 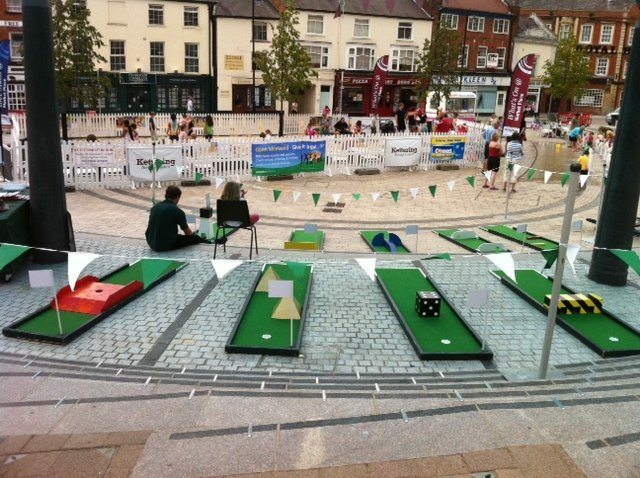 The crazy golf course for hire is one of our most popular items. Hire crazy golf for fun days or team building events. 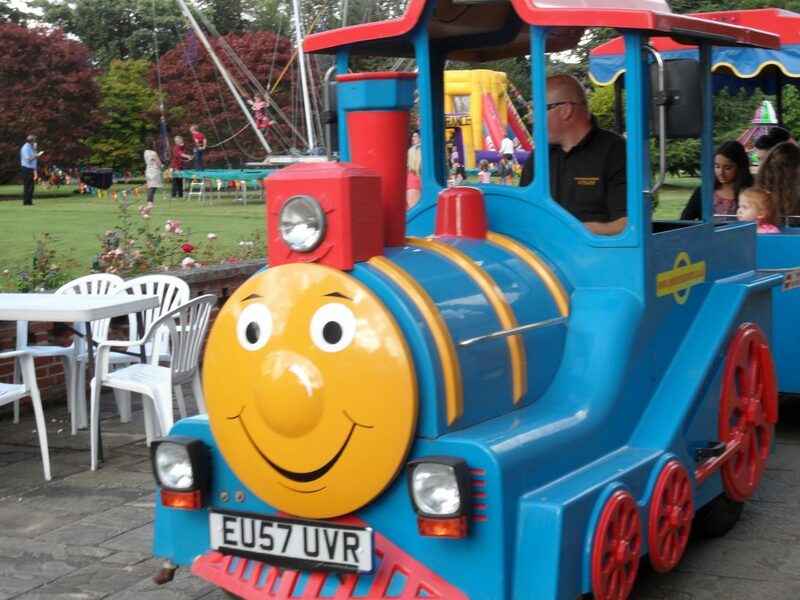 The crazy golf for hire is great for all ages and abilities. 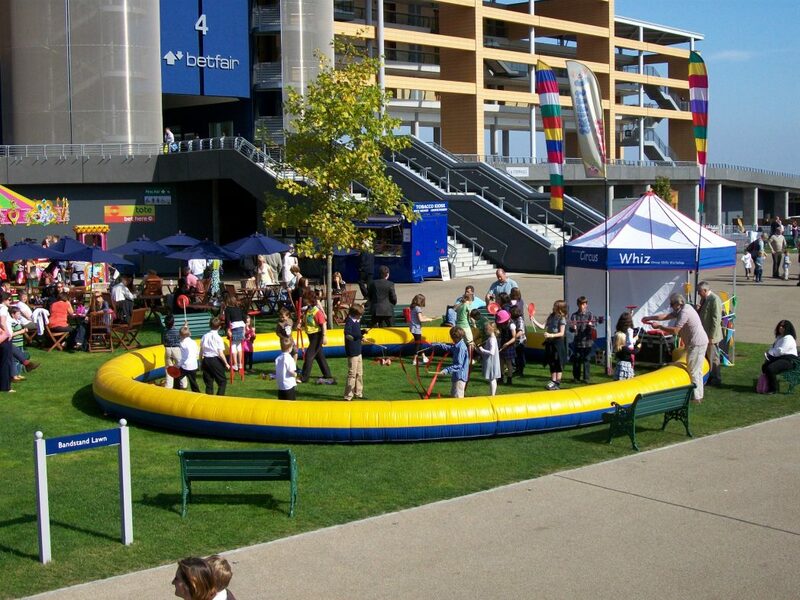 Hire mobile crazy golf course fun for your next event. We hire crazy golf courses throughout the UK and they are always very popular. The great thing with the crazy golf is that you can have the courses as condensed or spread out as you like so they are great space fillers at large fun days where you have large areas to fill. 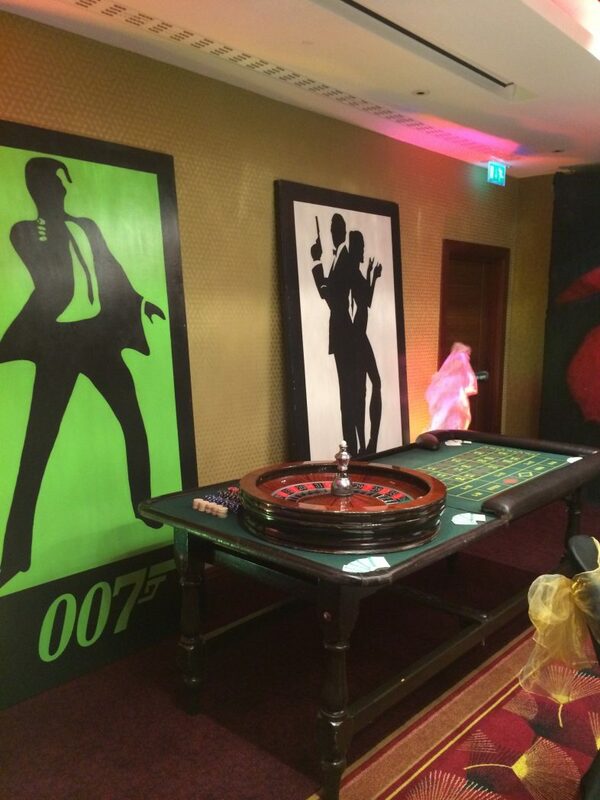 As one of Londons most established entertainment suppliers we also have a wide range of other golf related entertainment from the putting challenge to the full sized golf simulator where you can play courses from around the world at your venue. Crazy Golf Hire is fantastic for all ages.